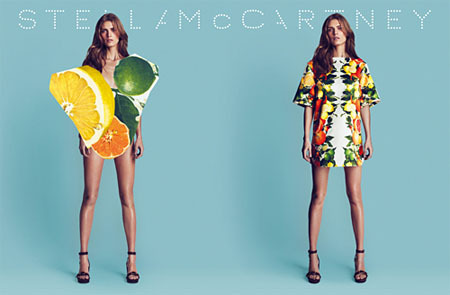 Whether you love or hate Stella McCartney’s citrus print, her new whimsical S/S 11 ads are out. It’s too bad for those suffering through snow because here in LA it’s 80 degrees and with ads like this being released it seems that spring is officially here. In January, no less.